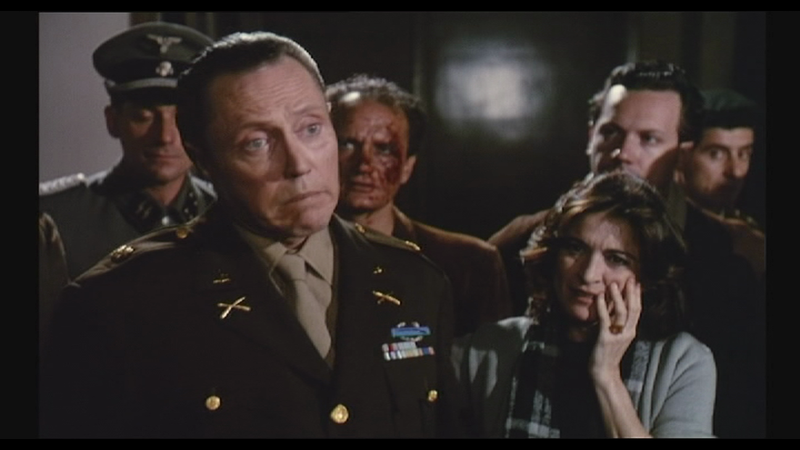 In the list (if there WAS a list) of Christopher Walken’s most obscure films, CELLULOIDE would definitely be a Top Five contender. It would certainly beat out 1987’s WITNESS IN THE WARZONE, and it’s at least on par with one of his first films ME & MY BROTHER (1968). There are others as well, without question, but this one here is a doozy. This 1996 Italian-made film has never had a U.S. release (not on VHS, DVD, nor BLU), and only just (in 2014) got a DVD release in France. Before that you could only find it on VHS through Italian ebay for around $25 bucks. The problem is that when they finally made the DVD, they didn’t include English as an option. So there is no English dubbing, and no English subtitles. Just the option to listen to the film in the original Italian, or listen/read it in French. So that means that I (and you, my Anglo-centric readers) can google-translate individual phrases, but for the most part we’re left to puzzle out meaning from contextual clues and voice inflection. Personally, I can do without the dubbing. I rarely enjoy it, and I realize it is a much larger expense of funds. But come on! You have an American actor appearing in your film, the least you can do is include English subtitles to allow his fans to fully appreciate the film he’s in. 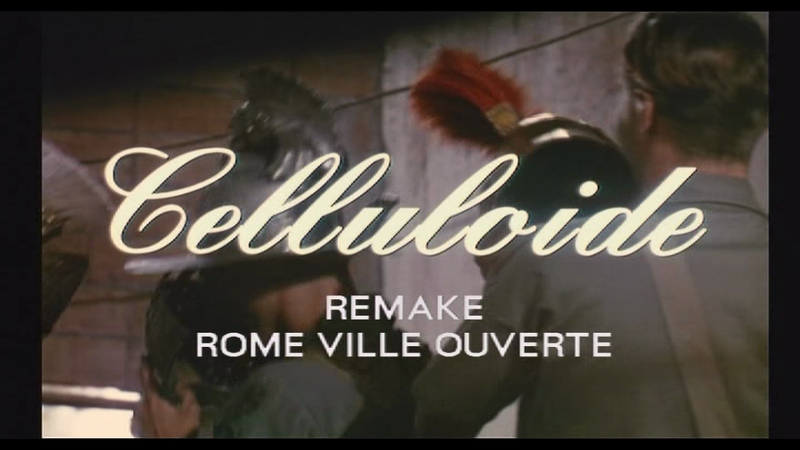 Made in Italy in 1996, CELLULOIDE (aka REMAKE) is a film about the making of another film, Rosselini’s ROME: OPEN CITY (1945), a story that deals with Italy and Nazis during WWII. 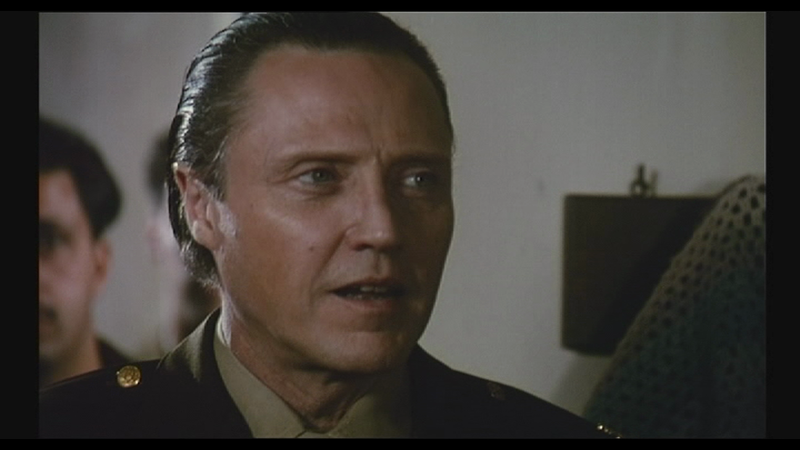 Christopher Walken has a small role in Celluloide, but he adds a nice bit of energy to the pace. He plays Rod Geiger, an American soldier that discovers someone has hacked his building’s electrical system and is stealing juice from his dance party. It is a single, charming little scene where he starts off pissed off at a Nazi, but slowly realizes that they are a rag-tag group of film-makers. So what do I think? Well, I don’t think anyone needs to track this down at the cost and hassle that this film demands. 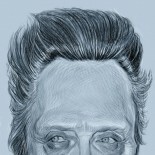 Not for the amount and kind of Walken that’s on display here, and not for the film’s own merit either. Not that it’s bad. Not at all. It’s charming in its way. It’s a drama, and it’s a little on the slow side. But it’s about film-making, so that’s interesting to me. And it’s well acted. Actually, the two stand-outs for me were Giancarlo Giannini and Anna Falchi. I’m not familiar with Anna Falchi at all, but she is absolutely breathtaking. Look at her! This bella with the beautious faccia plays a smallish role as the screenwriter’s feisty wife who gets to play a small role in the film within the film. Giancarlo Giannini plays that screenwriter, who is, from what I can gather the star of the film. I remember Giancarlo as the Italian cop hunting Anthony Hopkins in HANNIBAL (the 2002 film, not the TV show), and more recently as the Italian cop in the Bond film Casino Royale (2006). He’s pretty good in everything. For as long as I’ve been following the Walken path, this film had been one of the major holes in my collection. Elusive and obscure, CELLULOIDE was this exotic thing that no one really knew much about. It has an IMDB entry, and a minimal Wikipedia page, but other than that, not much. Well, I’ve seen it now. And the DVD will go on the shelf with his brothers. And that hole in my collection has finally been filled. I wish I could say it was worth tracking down. Like I said, it’s not bad, just not worth the hassle, despite Miss Falchi’s charms. Perhaps one of these days I will successfully learn French, and then I may glean a more nuanced understanding of the film. Until then, I’ll just move on to the next Walken entry, a wildly different kind of film called ‘LAST MAN STANDING’, a Prohibition-era Western shoot-em-up starring Bruce Willis. 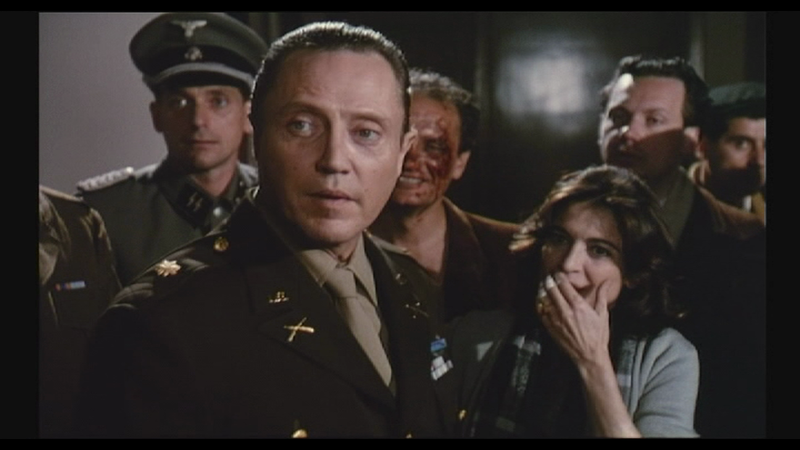 This entry was posted on December 17, 2016 by Something Something (todd) and tagged Anna Falchi, Christopher Walken, drama, Film review, Giancarlo Giannini, Rod Geiger, soldier, The Walken Chronicles.